What Is St Patricks Day All About? St Patrick is the patron saint of Ireland and has become famous the world over. This is particularly in the United States as there are many expats who now work and reside there. There is St Patricks Day as you may know but do you even know the origins of this saint and how he became the patron saint of Ireland. In this post I will discuss what this day is all about and also how you can celebrate it. It’s actually St Patrick’s Day! There is though something that I need to point out before I continue this post. It is in fact “St Patrick’s Day” and not “St Patricks Day” as there is only one saint with this name. So, with that on mind let us learn all about Ireland’s world famous saint. 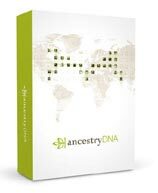 Check out the following video that shows you exactly how you can trace your Irish ancestors, courtesy of Ancestry. Please be aware that this video does go into detail and will take you an hour to watch but if you are passionate about your genealogy research then I am sure that you will want to watch it all for the tips. When Is This Special Day? Saint Patrick, (Irish: Lá Fhéile Pádraig), is the feast day of Saint Patrick or rather the day of the festival of Patrick. The date for this day is celebrated on March 17th. This date was chosen as it was the day that Patrick died in around the year of 493. Saint Patrick’s Day became a public holiday in Ireland as early as 1903 with the Bank Holiday act. It was introduced by the Irish MP James O’Mara. Later James would appeal that public houses would be closed on this day as drinking got out of hand. However, this was repealed in the 1970s. Both the Republic of Ireland in the south and Northern Ireland observe this holiday. It is not only a day to commemorate Saint Patrick but also to the arrival of Christianity in Ireland. Even though this day is celebrated in the rest of the United Kingdom it is not a public holiday. It is celebrated the world over in other countries such as Australia, New Zealand, Argentina, Canada, and the United States. These countries observe this day to the local Irish population. Patrick was born in the year 385AD, although the actual date is not known. Much of what we do know about him comes from the Declaration which we believe that he wrote himself. St Patrick was not Irish! He was a Romano-British Christian missionary and was also a bishop in Ireland. He was born into a wealthy Romano and British family. His ancestors were religious as his father was a deacon and his grandfather was a priest. Despite being born into a religious family marriage was disapproved by the church. He would though follow in their footsteps and be committed to the Christian faith. When he was sixteen years of age he was kidnapped by Irish raiders and taken to Ireland. While in Ireland he “found God” and worked as a shepherd in County Antrim. He stayed in Ireland for the next six years until he escaped back to Britain. God told him that if he made his way to the coast that a ship would take him home again and to his family. After his return home he would become a priest. Patrick though wanted to return to Ireland in order to convert the Pagan community to the Christian faith. According to the Declaration he spent many years as a missionary in Northern Ireland converting thousands to Christianity. An allegory was used by the druids that Patrick drove the snakes out of Ireland. Incidentally there were no snakes in Ireland. Despite this fact snakes and serpents have become religious symbols within Ireland. The sun was also added to the Christian cross by Saint Patrick. At least that’s what they say. It is believed that Patrick died on March 17th 461 and was buried at the town of Downpatrick. This town is about 30 kilmeters south of Belfast city in Northern Ireland. He is said to be buried under Down Cathedral. A Franciscan scholar known as Luke Wadding was instrumental in ensuring that the death of Saint Patrick became a feast day. This occurred sometime in the 17th Century. Despite Patrick being called a saint he was never canonized by the Catholic Church. He is thus a saint in name only. The title of saint was bestowed upon martyrs in the first millennia. This proclamation was probably approved by a bishop. Canonization did not take place until sometime in the 12th Century. His efforts to convert the Irish population and his rejection of slavery deserve him to be properly canonized. As I mentioned earlier at the start of this post Saint Patrick’s Day is celebrated in many different parts of the world. However, these are festive days and are not actual holidays, except for in Ireland. These day though has become widely commercial through products emblazoned with Irish symbols. The shamrock has been chosen as a symbol of Ireland due largely to Saint Patrick. He is said to have used this three-leaf plant to explain the Christian faith to the pagan population of Ireland. The Irish flag is most prominent on Saint Patrick’s Day and can be seen on government buildings and in parades. These originally began in America but spread over to Ireland sometime in the 20th Century. In these parades there marching bands, cultural and voluntary organizations, and many other groups. Military personnel can also be seen in these parades, as well as fire brigades and other services. These parades can though cause disruption to traffic and parking that is permitted in the streets where the parades will pass. You can also get involved in céilithes, which are traditional Irish music sessions. Recently, buildings and famous landmarks may have been lit up in green to mark Saint Patrick’s Day. At one time there was a popular Irish custom known as ‘drowning the shamrock‘ or ‘wetting the shamrock‘. A shamrock would be placed at the bottom of a cup or glass. Whiskey, beer or cider would then be filled into the cup or glass. A toast would then be made to Saint Patrick, to Ireland, or maybe to the people in attendance. The shamrock would either be swallowed with the drink or maybe taken out of the glass or cup and tossed over the shoulder. This was done for good luck. You may wish to try this with the many Irish branded drinks that are popular on this special day. These drinks include Guinness, Irish Whiskey, Irish coffee and Baileys Irish Cream. Not only can you wear the color green but you can even dye your food green, or maybe just eat green food. There are also traditional Irish delicacies that you can enjoy for lunch or dinner. Restrictions on foods and drinks are lifted during this time, and so we often see an indulgence, or over-indulgence rather on this festive day. Why not plan a pilgrimage? So, there are many different ways that you can enjoy Saint Patrick’s Day. If you do live on the emerald island of Ireland then why not go on a pilgrimage. Many people make their way to Saint Patrick’s Purgatory. This is located on Station Island in Lough Derg in County Donegal. This place has been associated with both penance and spiritual healing. This association with this place has been known since as early as the beginning of the 13th Century. It is said that this sanctuary is where Patrick first envisioned that people could take their sins to and be pardoned there. Learning Irish is also encouraged during Irish Language Week. So why not get reacquainted with your Irish heritage and learn the language? It doesn’t matter if you do not live in Ireland though. You could attend a church service instead, or as well as the many ways that I have stated above. You don’t have to be Irish to join in the festivities of this day. But it will make it special for you if you have Irish ancestry or know someone who is Irish. You may even wish to show to your friends your knowledge of Saint Patrick with the information on this page. Please share this post, I encourage you. Why not research your Irish ancestors on this day? 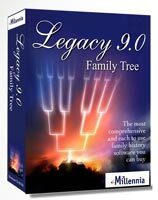 You can use the many tips and guides found on this site to begin your family history journey. There is just so much that you will discover and who knows it may quite surprise you. So take the first step today! Why not head on over to Wikipedia for more information about this special day. I hope you enjoyed this article explaining what is St Patricks Day, or rather St Patrick’s Day to be exact. If you have any questions or comments then please leave a comment below. 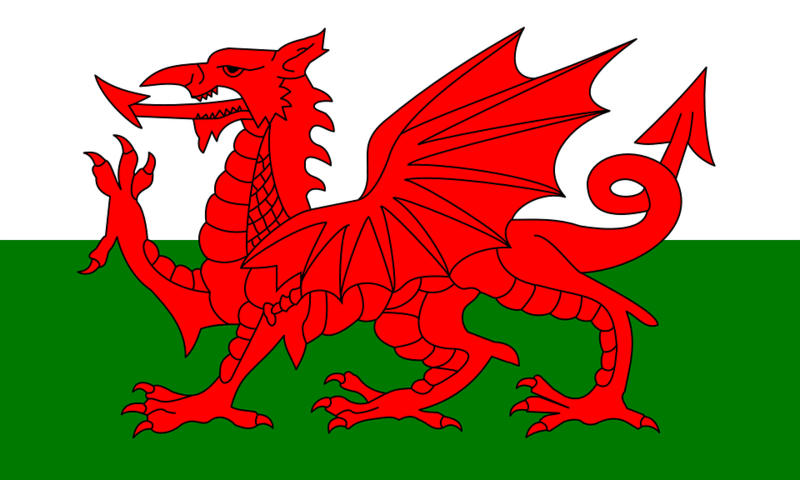 What Is St Davids Day All About? What Is St Andrews Day All About? Who Is Patron Saint of United States? What Is St Georges Day All About? Hello, very nice article on St. Patricks Day! Even though I am not Irish, this holiday has always been one of my favorite! When I was much younger, and wore an earing, I used to where a shamrock to celebrate St. Patricks Day. I don’t wear an earing anymore, but that is just how much I loved this holiday. People at my job years ago all wore green on this holiday, and I fondly remember going to parades when I was younger. My favorite beversges are also Irish. I love Baileys Irish Cream, and Guiness! I recently discovered Murphys Draught which I really like. Thanks for sharing this article, very interesting and informative! Hi Eric, thank you for sharing your memories. It does surprise me just how popular St Patrick’s Day really is. This is compared to the other patron saints of the U.K. Seems like everybody likes this special day. Could it be because of the drinking, or maybe dressing up in green perhaps. Either way it is still very popular. Another thing he told us (and this is his theory alone) is that he thinks the reason that St. Patrick put the sun behind the cross is because the pagans would worship nature and the sun as their gods and so he added the sun behind the cross to help them relate to Christianity better. Granted it may not be true, but it made sense. lol. Yes you’re right the Irish certainly do like their drink. America has seemed to commercialize a lot of the holidays. So I am glad that it is more a reverent occasion in Ireland. Thank you Ethan for giving that theory about the sun and the cross. It is reasonable to think that that is the case. I am glad that you enjoyed the article and it was my pleasure to share. I always liked the Irish culture and history. Was wondering if you could maybe elaborate on the legend regarding ST. Patrick and the snakes? How did it come to be? Why snakes? I mean from what you wrote it seems like he was on a missionary mission, so how does druids and snakes are involved? Thanks for the comment Ido. The snakes are a reference to the Pagan community, not actual snakes. Why the Druids decided to use snakes I am not certain. Maybe someone can enlighten us? St. Patrick’s Day is by far my favorite holiday! Very cool read. You’re quite welcome Eric. St Patrick’s Day has a very impressive history. Same can be said though for the other patron saint days. You can read about them in this post. Hi Owain, great read, very nice. This was really odd because my girlfriend said to me just yesterday, what about St Pats day? I am really looking forward to it actually, the last evening we had together like this was Burn Nights, which was awesome too. Please enjoy St Pat’s Day. And you will be pleased to know that this year St Patrick’s Day falls on Friday. So if you have had too much drink that evening at least you’ll have the weekend to recover before you go back to work on the Monday. That’s if you don’t work weekends that is.